StreamServe document automation solutions enable B2B and B2C organizations to create, produce and distribute enterprise documents on-demand and to reach significant operational efficiencies. 4,400 customers in 130 countries use StreamServe solutions to present a full range of interactive, electronic, and print-based documents generated by enterprise applications. For the 9 years of cooperation, StreamServe’s nearshore team at N-iX has contributed to the development and testing of the above listed StreamServe products, special areas of involvement being development and testing of products’ server-side components, modules, drivers and web applications. StreamServe’s Professional Services team at N-iX was launched in 2005 as a pilot project to enhance the client’s in-house team. Today, the team includes 19 specialists that align OpenText StreamServe™ on customers’ sites worldwide including the client’s home country. .NET XML, Linux, C++, MFC, Visual Studio 2005, JBoss AS, LDAP, Oracle, MS SQL Server, XDP, XFA, AFP, PDF, and Web services, COM, Stingrey, data providers (ODBC, MQ series, SAP, BAAN, Movex, etc), high performance server operating on Windows 2000, Windows XP, Windows 2003, HP-UX, AIX, Solaris operating systems; Professional Services: OpenText StreamServe™ framework, MS SQL, UNIX systems, Java. 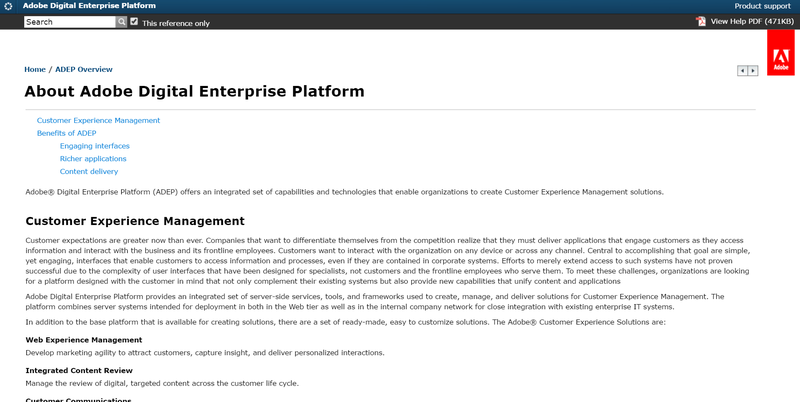 Adobe® Digital Enterprise Platform Extension – Production Print™ (former Adobe® LiveCycle® Production Print ES) – OpenText-Adobe composite content application platform for rapidly deploying Adobe’s customer experience solutions and building custom applications. The software is ideally suited to perform high-volume jobs through efficient batch processes, generating documents such as statements, invoices, contracts, or welcome kits. It allows to merge XML, ASCII or other data types from back-end systems with Adobe LiveCycle Designer ES templates to generate documents in a broad range of print or electronic formats, including AFP and IJPDS to support high volume production requirements. It also allows to customize print document packages by collecting multiple jobs over time and then grouping them to minimize mailing costs. Or, convert AFP or PDF files to any supported output format.